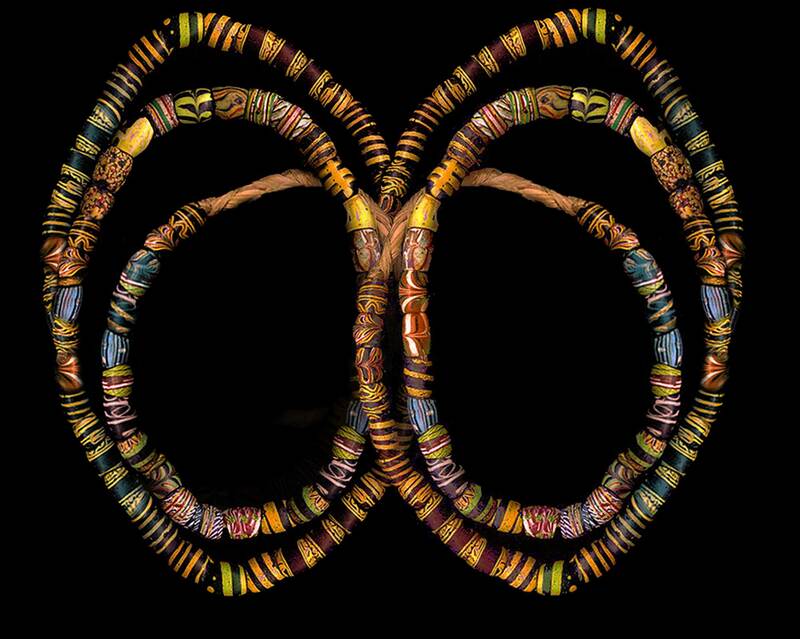 Make this two-part necklace. We will work on the front part in class and you can finish the second part at home. 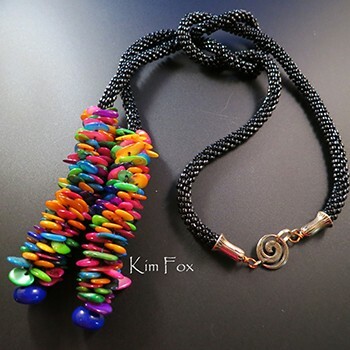 Class includes beads and cord with $25 credit for findings purchased from Kim Fox.
. Kumihimo disk may be purchased for $10 if you don’t have one.